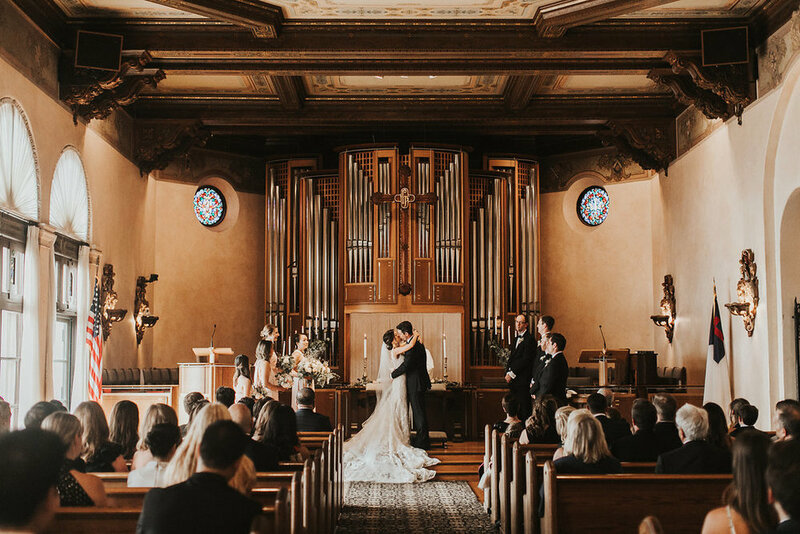 Perched atop the cliffs of Palos Verdes overlooking the Santa Monica Bay, the Neighborhood Church has hosted Wedding ceremonies for nearly 75 years. 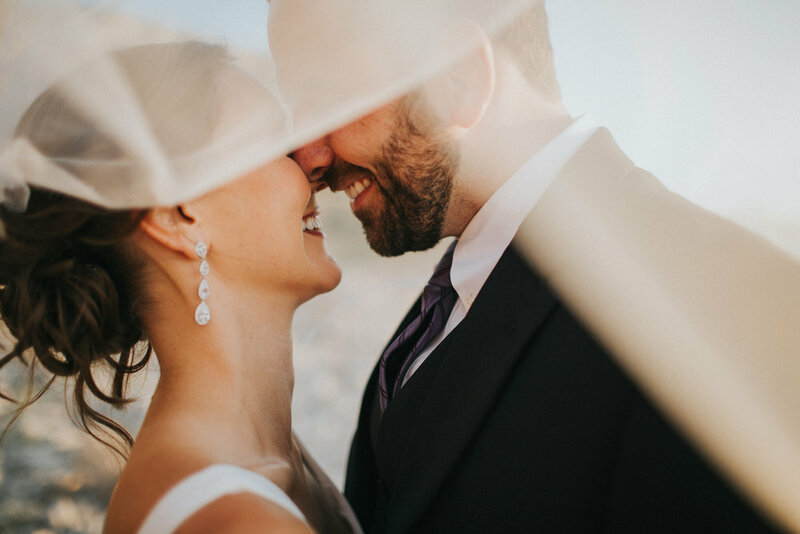 With panoramic views of the Pacific Ocean from Redondo Beach to Malibu, our seaside Sanctuary is the perfect place to begin your new life together. Set in the historic Haggarty Estate, a former oceanside mansion built in the 1920s, our Sanctuary features intricate ceiling murals and ocean views and can accommodate up to 300 guests. 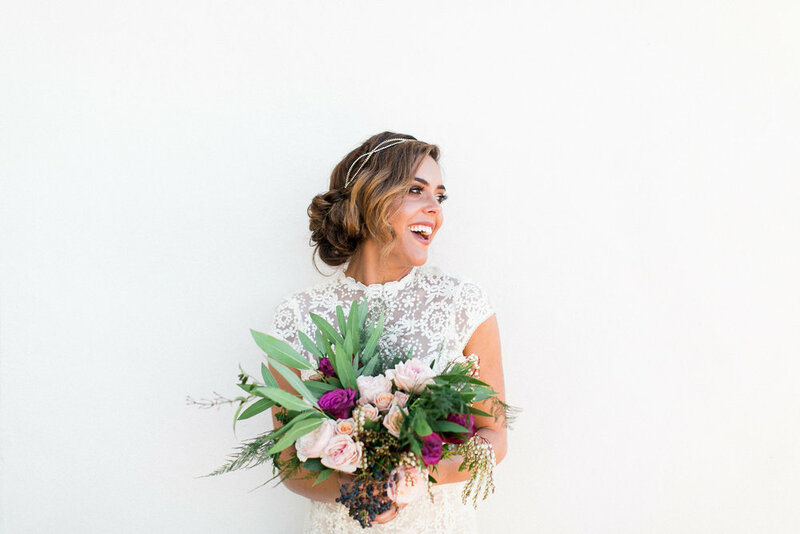 Our fully staffed Wedding Ministry, ocean view bridal suite and beautifully manicured outdoor grounds have made the Neighborhood Church a South Bay Wedding destination for decades. We welcome couples of all faith traditions, genders and sexual orientations. Our Wedding Ceremonies are performed in the Christian tradition and include references to God and Christ, but are open enough that all may feel included and a part of the service. 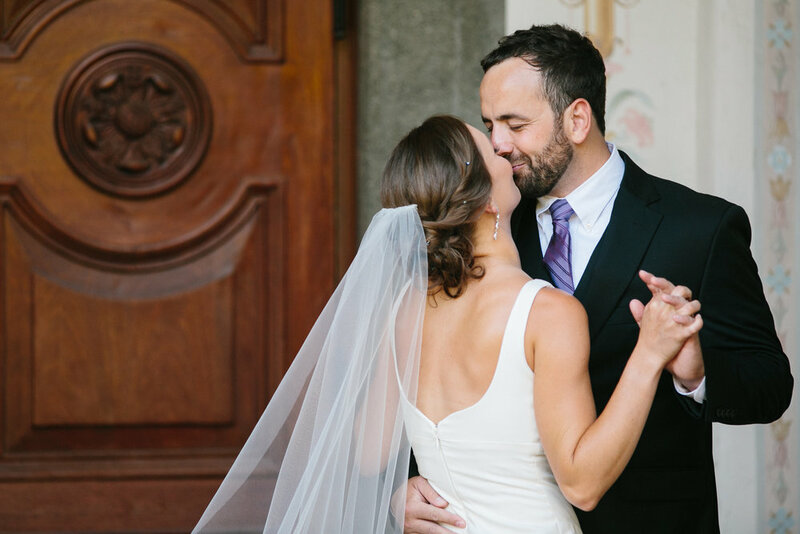 We host Wedding Ceremonies at three different times on Saturdays—at 10AM, 1PM and 4PM. Our packages are inclusive of all of our services, the specifics of which are detailed below. If you’d like more information or would like to check availability of a date, we’d love to hear from you. Each timeslot includes approximately three hours on the grounds. A bridal suite and grooms room are available to Wedding Parties 1.5 hours prior to services. Fees include the services of our Minister, Wedding Director, Organist and support staff, as well as a required Marriage Preparation Workshop hosted at the Church. We perform weddings at 10AM, 1PM and 4PM on Saturdays. Packages begin at $2,000 for the earliest timeslot. Photography and videography are permitted inside the Church during Wedding Ceremonies, as well as outdoors before and after Weddings. We understand how important it is to capture the memories of your Wedding and want you to have photos and videos that tell your story. In order not to distract from the spirituality of Wedding ceremonies, photographers and videographers are not permitted to move around inside the Sanctuary during ceremonies. The Wedding Director will indicate multiple places for photo and video teams to shoot from that allow them to capture important moments without distracting your guests. Our bookings are done on a first come, first served basis. To book a date, we require a nonrefundable $500 deposit and a signed contract. The $500 is applied towards the total cost of your Wedding, with the balance due four months prior to your Wedding. For more information, check out our Wedding FAQ or send us a message below. Want to know more about Weddings, request a tour or check availability of a date? Complete the form below and we'll get back to you as soon as possible. Thank you for inquiring with us! A member of our team will reply to you as soon as possible with more information. In the meantime, check out our wedding FAQ for some answers to our most frequently asked questions. Photos courtesy of Jes Workman Photography.